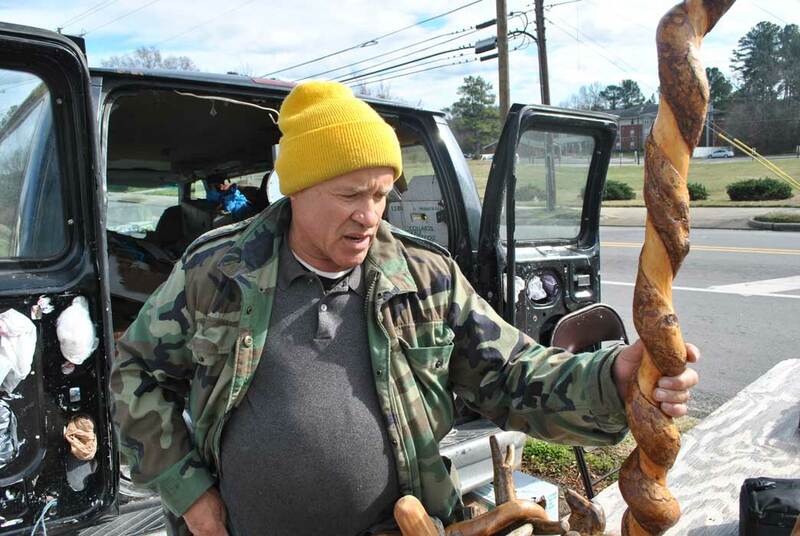 At the corner of Burlington Avenue and Fayetteville Street, Curnel Glenn has been selling fresh fruits and vegetables from the back of his van for more than a decade. As a child, Glenn sold produce in the projects with his father. He continued years later on a whim after teaching school in Virginia for awhile. Now, he knows the neighborhood like the back of his hand. Curnel Glenn sits in the back of his van. Loyal customers walk or drive up to buy from his large selection. “My brother in law used to joke with me, ‘Man, you have more variety than the grocery store,’” Glenn says. Glenn said residents have always craved fresh fruits and vegetables, but that much of Durham feels underserved by convenience stores that lack good selection and pricing. 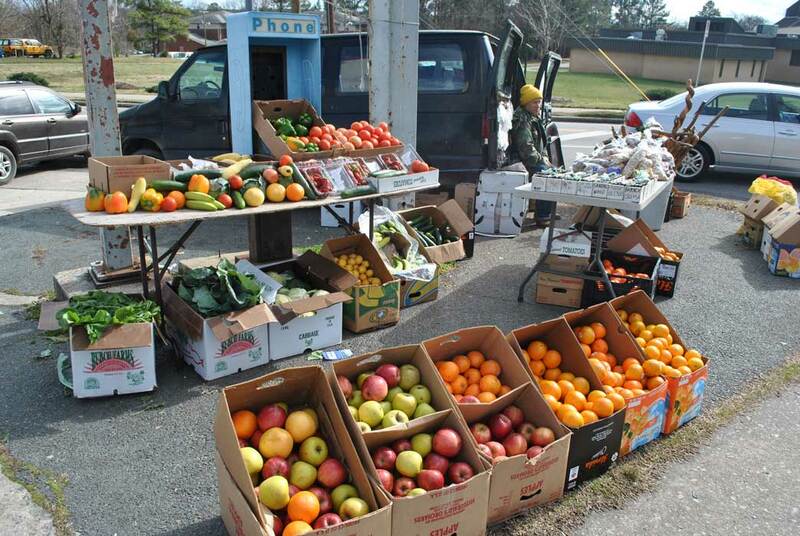 In fact, Glenn’s stand is located only a few blocks from what the United States Department of Agriculture considers a food desert, a low-income area where residents lack easy access to a supermarket. Many residents do not own cars and have to walk more than half a mile to reach a store that sells healthy groceries, according to the USDA. They use more expensive convenience stores with fewer produce choices to fill the gaps between store visits. According to the Centers for Disease Control and Prevention, food deserts can be detrimental to health and researchers have linked access to affordable, healthy food and beneficial diets. Wanona Satcher, neighborhood development specialist for the City of Durham, said Neighborhood Improvement Services started the Durham Network of Agriculture in 2012 to connect farmers, educators and urban agriculturalists. She says she hopes the network can reduce the detrimental effects of food deserts with homegrown solutions like Glenn’s one-man farmers’ market. Through the network, residents are working on developing a food strategy for Durham, promoting educational programs and advocating for changes in laws that hurt urban farmers. Kevin Hamak, a landscape architect and urban farming advocate in Durham, has been utilizing the network to lobby for a change in county law that prevents city residents from selling locally grown food. The city council unanimously voted to open all Durham districts to commercial crop production on March 18. The law means that neighbors will be able to sell food to one another and hold farmers’ markets in areas that are not zoned for retail with a permit. Prior to the law being passed, Glenn’s operation was only legal because the food he sells is grown outside of the city. If he had grown the food in the city, he would not have been allowed to sell it. Satcher hopes the law allows people within food deserts to start their own affordable farmers’ markets using locally grown food. Curnel Glenn holds up a handmade walking stick. He says prices vary based on how ornate the carvings are. Hamak said the law is just a start. He would like to see aquaponics — growing plants and fish together — and compost sale eventually allowed. He said urban farmers could earn more money if the practices were legal in Durham. The city council has directed staff to study the practices and may eventually legalize them. The areas most affected by a lack of easily accessible produce are the northeast and southeast areas of Durham, according to the USDA. Glenn said the demand for farm-fresh food is there — especially for his locally grown pecans. 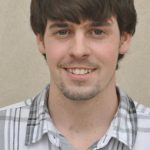 Co-editor for the Durham VOICE and UNC-Chapel Hill student. Contact the Durham VOICE staff at thedurhamvoice@gmail.com. This entry was posted in Business and tagged food deserts. Bookmark the permalink.